Richard Broinowski was schooled in Melbourne and Adelaide. 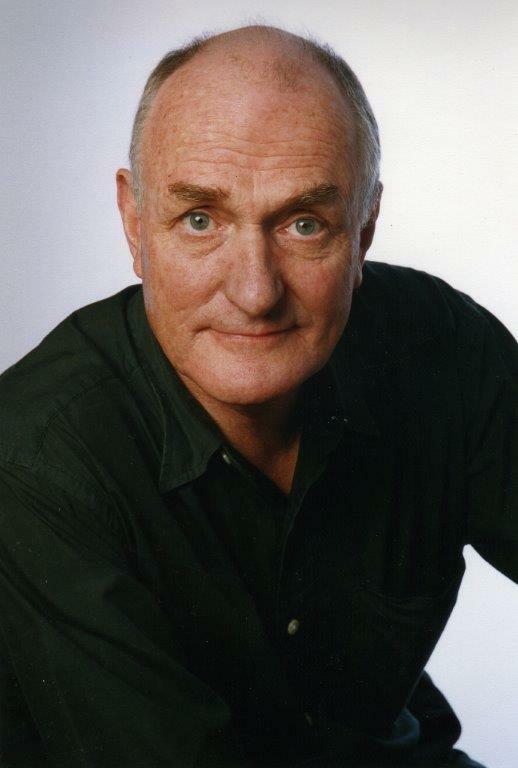 He obtained his Bachelor of Laws degree at Adelaide University in 1961 and was admitted to the Bar in Adelaide in 1963. He later earned a Masters Degree in Public Administration from the John F. Kennedy School at Harvard (1978).Richard joined the Department of External Affairs in 1963 and studied Japanese at ANU. He was posted to Tokyo as third secretary in 1965, then as first secretary to Rangoon (1970-71) and Tehran (1972-73), and as counsellor and deputy head of mission to Manila from 1975 to 1977. He was executive director of the Japan Secretariat in Canberra from 1979 to 1982. Richard was appointed as ambassador to the Socialist Republic of Vietnam from 1983-85, and to the Republic of Korea from 1987-89. He took time off from diplomacy to be general manager of Radio Australia from in 1990 and 1991, and rejoined DFAT in 1993. In 1994 he was appointed ambassador to Mexico, with concurrent accreditation to the Central American Republics and Cuba. 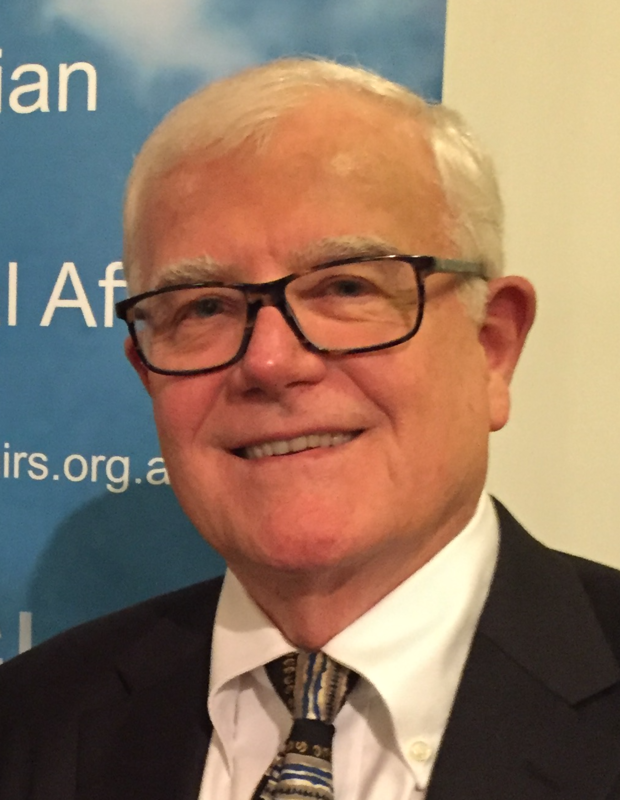 Richard retired from DFAT in 1997, and became an adjunct professor in Media and Communications, first at the University of Canberra, then at Sydney University. In this capacity he initiated a scheme to send young media students from several Australian universities to work as journalists in English-language newsrooms, including Bangkok, Manila, Kuala Lumpur, Phnom Penh, New Delhi, Seoul, Tokyo and Beijing. Financed initially by the Myer Foundation, then DFAT, over 130 media students have worked in a total of 14 Asian newsrooms since the year 2000. Richard is a frequent commentator on public affairs on radio and television. He is also the author of four books – A Witness to History, the life and times of Robert Broinowski (MUP 2001), Fact or Fission, (Scribe 2003), Driven – a diplomatic auto-biography (ABC Books/HarperCollins, 2009), and Fallout from Fukushima (Scribe, 2012). 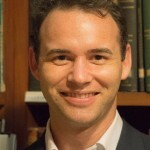 He has been convenor of the Harvard Monday Club in Sydney, and for the last two years, president of the AIIA NSW. 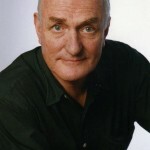 Ian Lincoln graduated with first class honours in history from the University of Queensland and later obtained an M.Phil. in international relations at the London School of Economics. He was in the Department of Foreign Affairs from 1967 to 2000 with postings in Asia, the Pacific, Africa and Europe. Policy work in Canberra included South Asia, South East Asia, the Middle East, arms control, the United Nations, and intelligence policy. He was Consul-General in Noumea, Ambassador to Vietnam, Deputy High Commissioner in New Zealand and Director of DFAT’s Melbourne office. From 2002-04 he was a member of the Refugee Review Tribunal in Sydney. He currently co-convenes a seminar on leadership in diplomacy at the University of New South Wales. He is a member of the AIIA NSW Council’s activities committee and the AIIA’s National Conference Organising Committee, Australian Outlook Commissioning Editors Committee and Programming Working Group. 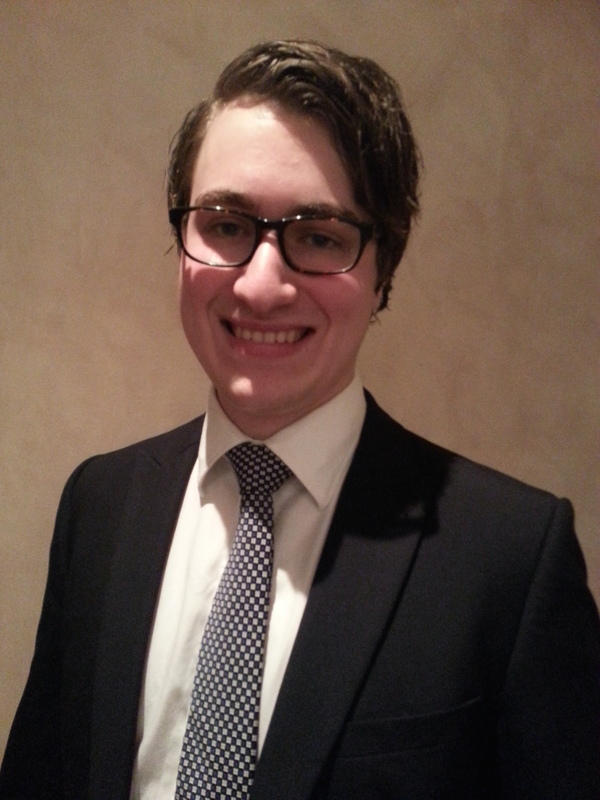 Ed works as a government policy consultant at KPMG and holds a directorship with PCYC NSW. 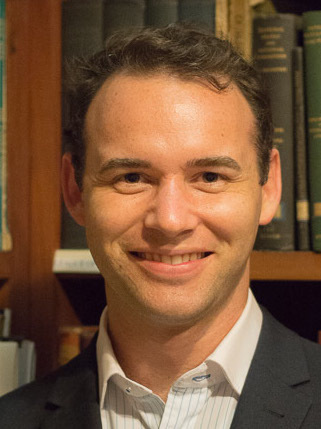 He previously worked as a research associate at the University of Sydney’s Department of Government and International Relations, from which he also completed a Master of International Security. 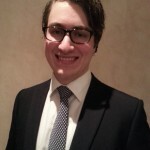 Ed has worked as a business analyst at the Commonwealth Bank of Australia and has undertaken internships at the institute as well at the Australian Permanent Mission to the United Nations in New York. In his spare time, Ed engages in his long-term interest of performing, producing and teaching music. He is a graduate of the Sydney Conservatorium of Music and has collaborated with artists including the Australian Chamber Orchestra, Sydney Camerata and Takacs Quartet. Michael opened his own business recently as CEO of Global Management Strategic Focus Pty Ltd specialising in business advice, acquisitions, divestments and business turnaround. 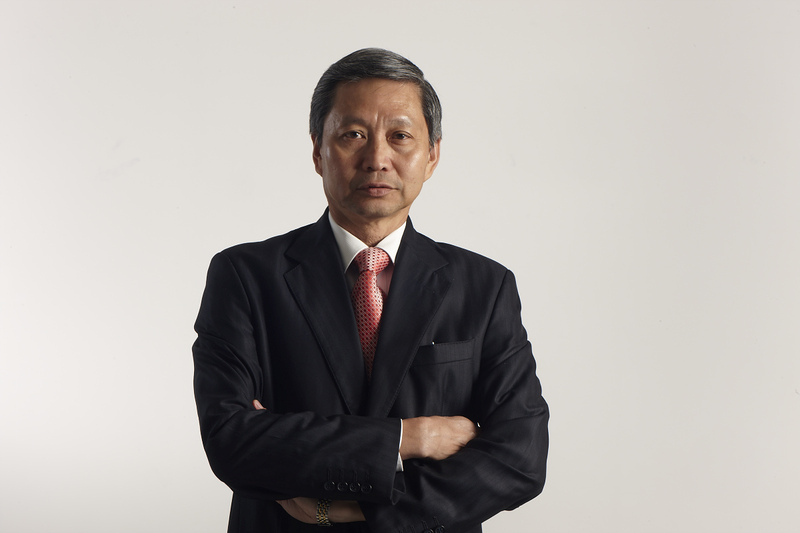 He is an advisory councillor of the Australia Industry Group (AIG) and is also a mentor to many young professionals. He joined the Zip Industries Group in 2001 as group finance director and was promoted to chief operating officer during the Global Financial Crisis (GFC) in 2008. The Australian manufacturer continued to grow globally over that period and was successfully sold to Private Equity- Quadrant Pty Ltd in December 2013. Michael committed to stay for 12 months, and will be finishing his tenure as CEO at ZIP in December 2014 after 13 years in the company where sales grew 4 times and profits grew at a much faster rate. He was also instrumental in opening offices in New Zealand, Malaysia and the UAE for the Group and as part of the senior management team in building the UK and Australian business to what it is today. Prior to working at ZIP, he worked as finance director at Nick Scali Furniture Pty Ltd (1999 to 2001) and as the operations & finance director at Cenovis Pty Ltd (1989 to 1996) – both leading Australian brands in their own industry. Michael owned an event management business between 1996 to 1999 which was sold to an US company prior to the Sydney Olympics. He spent 15 years in New Zealand and was the group accountant of the Fletcher Challenge Group, New Zealand’s largest Company and was group financial controller and company secretary of Challenge Meats Pty Ltd – a subsidiary of Fletcher Challenge (1981 to 1988). Michael commenced his career in audit in 1977 and was audit supervisor at KPMG Wellington, New Zealand when he left in 1981. Jenny has been interested in foreign affairs ever since her first visit to France as an exchange student aged 16. Her first serious job, on the Sunday Times in London, allowed her to combine her work and hobbies (travel and languages) and make long-lasting friends in many countries of the world. Jenny’s passion for languages has always kept her interested in international affairs and since leaving the UK she has lived in Hong Kong for a year and Japan for over 25 years. This included much travel in Asia as she was deeply involved in international journalism with husband, Murray Sayle. It also meant learning a lot about Japanese culture to cope with everyday family life in a small Japanese village. 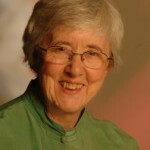 She worked for the local education board from 1987 – 2004. Since coming to Australia in 2004 she has kept up these interests and has been delighted to work for the AIIA NSW for the last five years. Organising events each Tuesday is a wonderful way to keep in contact with what is happening in the world – and to help bring this knowledge to a wide audience in Sydney. 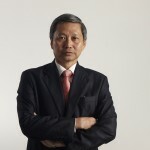 Jocelyn is director of the Australia China Institute for Arts and Culture at Western Sydney University, and visiting professor at the University of Sydney. She was previously a senior officer in the Australian Department of Foreign Affairs and Trade. 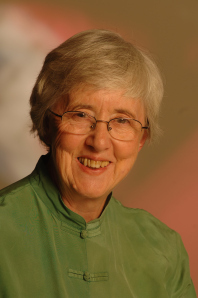 Since retirement she been a consultant on cross-cultural issues and aid projects, has taught courses on contemporary China and led history study tours to China. Jocelyn was one of the earliest students in Australia to take up Chinese language and culture. She combines interests in history and classical studies with contemporary politics, economics and culture. She is the co-author and co-editor of a groundbreaking multi-disciplinary study of Chinese humour, and has also recently published articles on soft power in China and Taiwan. 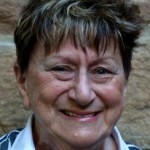 Jocelyn is a Life Member of the Oriental Society of Australia. She is patron of the Australian International School of Hong Kong, having chaired the committee that founded the school during her term as Australian consul-general. She was awarded the Australia-China Council Medal for contributions to the development of relations between Australia and China in 2008. 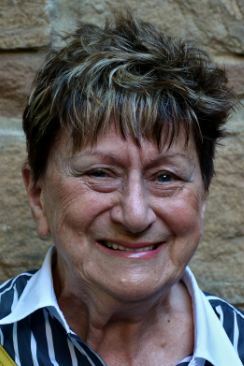 In 2009 she was honoured with being made a Member of the Order of Australia and, in the same year, a Fellow of the Australian Institute of International Affairs. 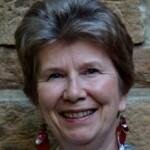 She has been a councillor of AIIA NSW for more than ten years. Thom Dixon is in his third year as a councillor for the AIIA NSW. Thom is also a Young Leader with the Pacific Forum CSIS’s Young Leaders Program and works within the Office of the Deputy Vice-Chancellor (Research) at Macquarie University, Sydney. Thom’s research interests are focused on the overlap of high technology and statecraft and how sovereignty concerns play out in the global commons. In 2016 Thom was funded through AusCSCAP to attend the 30th Asia-Pacific Roundtable and the 45th Steering Committee of CSCAP in Kuala Lumpur, Malaysia. 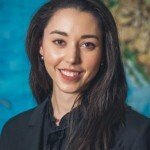 Megan is in her final year of a Juris Doctor at the University of Sydney, having previously graduated with a Bachelor of International Relations from the University of New South Wales. 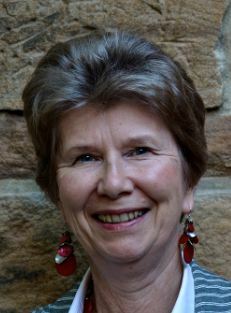 During her undergraduate studies she was the founding deputy editor-in-chief of ‘Politik’, the UNSW International Affairs Review, and she undertook an exchange year at L’Institut d’Études Politiques de Paris (SciencesPo, Paris) where she was employed as a Research Assistant focusing on the sociology of Arab states. Megan is an active member of the New South Wales Young Lawyers International Law Committee and the NSW State Emergency Service. Following a period at the Attorney General’s Department and the Australian Government Solicitor, she is commencing a clerkship with Ashurst. 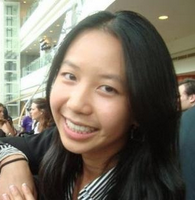 Megan has a strong interest in Middle-East and Asian politics as well as public and private international law. Previously an intern of the Institute, she now assists the treasurer. Dr Howard researches aspects of the history of international relations in the twentieth century, with special reference to developments in international security. He is currently focusing on international security issues in the post-Cold War era and the role, at this time, of the United Nations. Dr Howard is also interested in developments in the international economy since 1945 and the impact of these on domestic economies and polities. Other interests include international relations theory and developments in contemporary Australian politics and society. He is a former editor of the Current Affairs Bulletin. 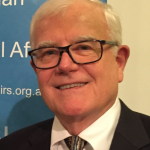 Dr. Howard’s research interests are Australian politics, Contemporary Australian politics and society, Developments in the International Economy and Security, History of IR in the Twentieth Century, International relations, International security, and United Nations. Carole is a retired entrepreneur now managing private companies’ investments which includes a hobby farm. 1973 – 2012 owner- operator of a group of trading businesses in the hospitality industry also managing sundry investments including numerous commercial properties. 1955 – 1974 employed marketing and advertising agencies firstly as accountant then as media manager then director. 1949 – 1955 audit staff leading firm of chartered accountants. 1980-1985 member NSW Higher Education Board.Current Associations: 2005 to present, member of Council St. Jude’s Anglican Church, Randwick and currently member of sub-committee, building works of property which is part of National Estate .2011 to present, ambassador Museum of Contemporary Art (MCA). Freya works as an Executive Officer at the American Chamber of Commerce in Australia. Freya has a Bachelor of Arts from the University of Sydney, majoring in Government and International Relations and History. She is a previous intern of the Institute, and now assists the treasurer in addition to managing the social media component of the internship program. 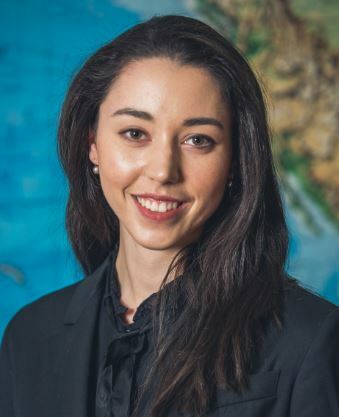 Freya’s research interests include international trade, climate change policy and US foreign policy. AIIA NSW prefers that you contact us by email .